Aam Aadmi Party says that Sanatan Sanstha has killed three free-thinking intellectuals – Dr Narendra Dabholkar, Com Govind Pansare and Prof M M Kalburgi. Ashish Khetan, Delhi-based AAP leader, has also thrown up a challenge to the Narendra Modi government to ban Sanatan Sanstha. 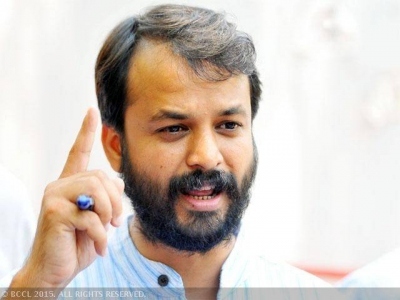 Khetan, vice chairman of Delhi Dialogue, is in Goa to begin the process of Goa Dialogue in order to prepare manifesto of Goa Assembly election. The journalist-turned-politician had tweeted last week that the CBI had cracked the cases of the murders of three aged intellectuals, finding evidence of Sanatan Sanstha and Hindu Janjagruti Sanghatana behind the terror attacks. Following this, the CBI had also raided houses of two Sanatan members in Pune and Panvel. “There is evidence of Sanatan’s involvement in three murders. I have gone on record on this”, he told the media once again today. While claiming to be upholders of Hindu religion, Khetan said Sanatan has always targeted and killed free-thinking Hindus in Goa, Karnataka and Maharashtra, even by trying to plant bombs. Incidentally, the headquarters of Sanatan Sanstha is located at Ramnathi in Goa, which has been raided by the CBI earlier while also interrogating its leader Dr Jayant Athawle. “It’s a dangerous organisation and such outfit has no place in a secular and modern country like India. It has to be banned”, said Khetan. He also observed that attacks on free-thinking Hindus are on rise in India since Narendra Modi-led BJP government has come to power in 2014.